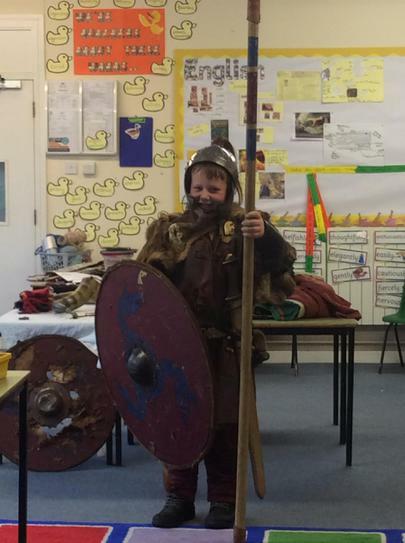 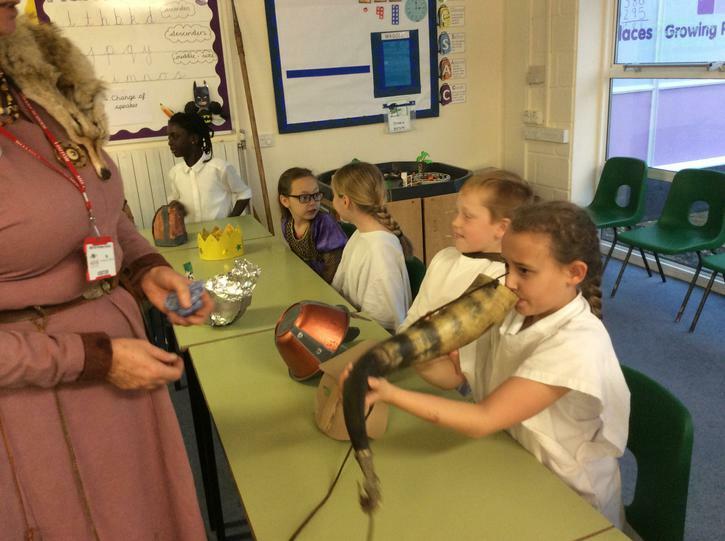 This half term, we have learned about the life of the Anglo-Saxons and were lucky enough to have an expert visit us! 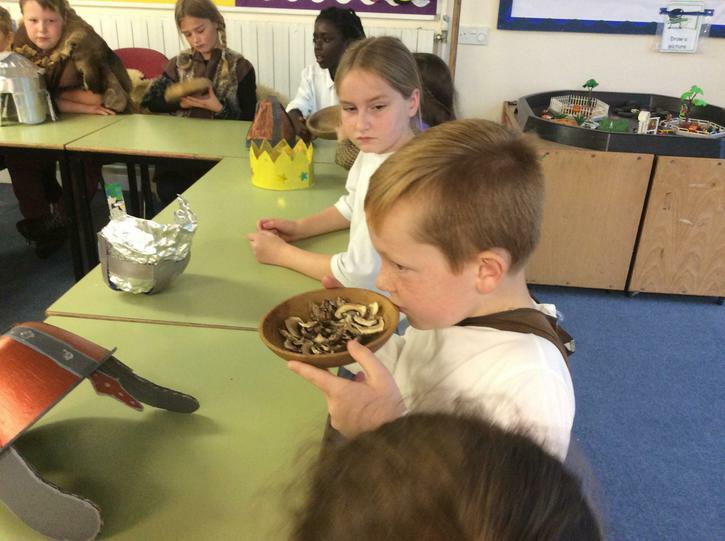 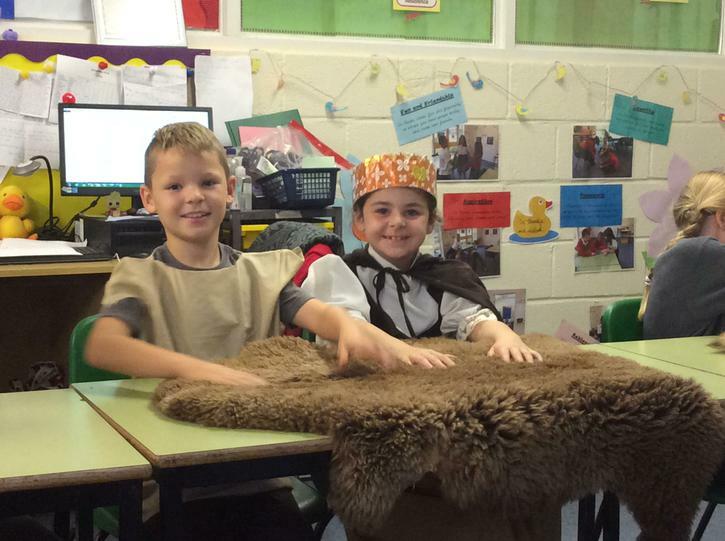 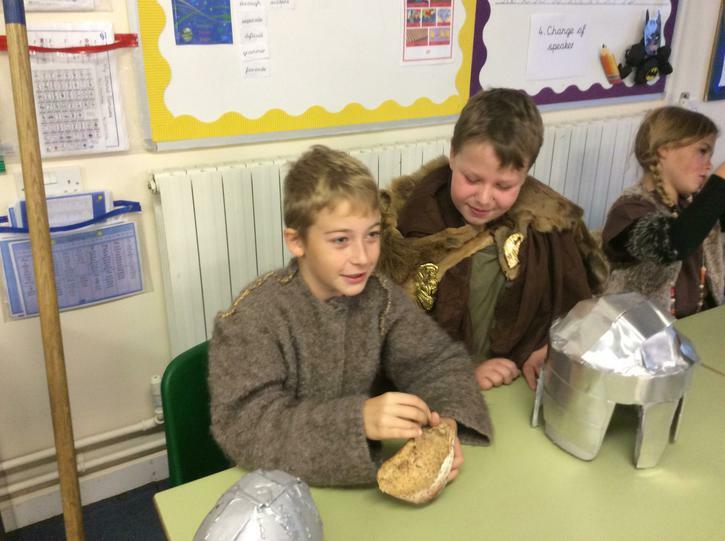 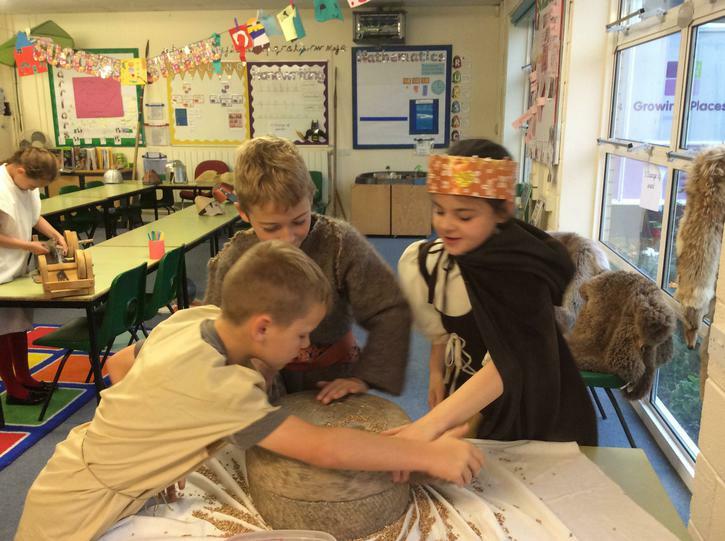 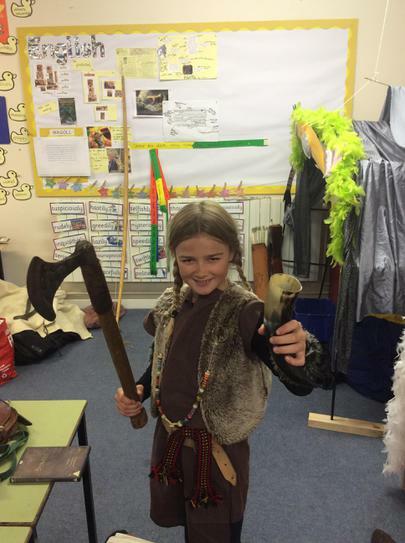 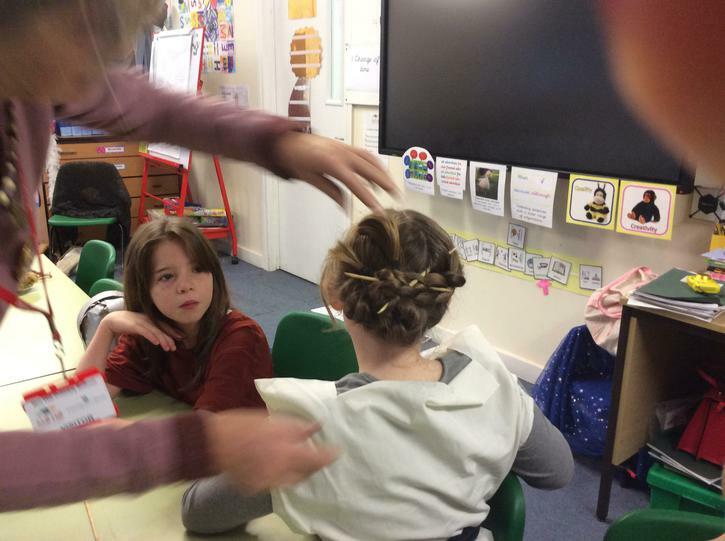 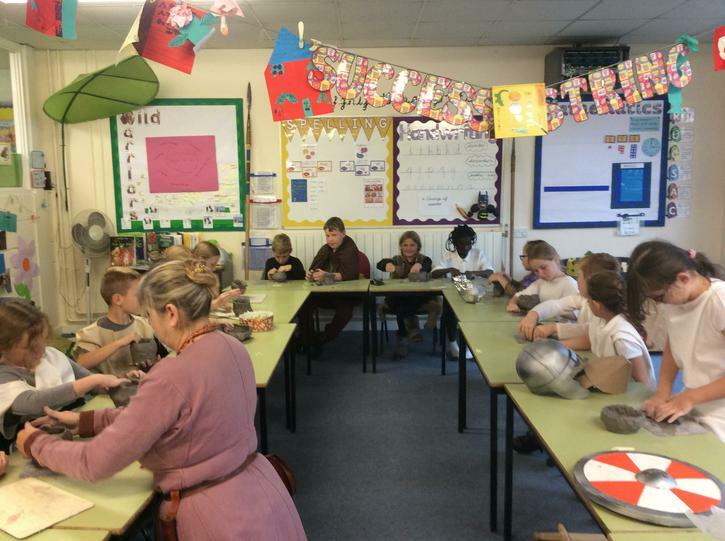 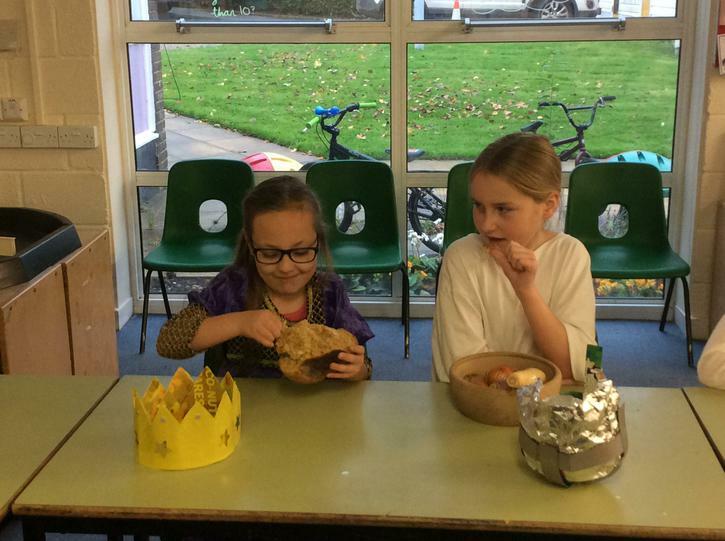 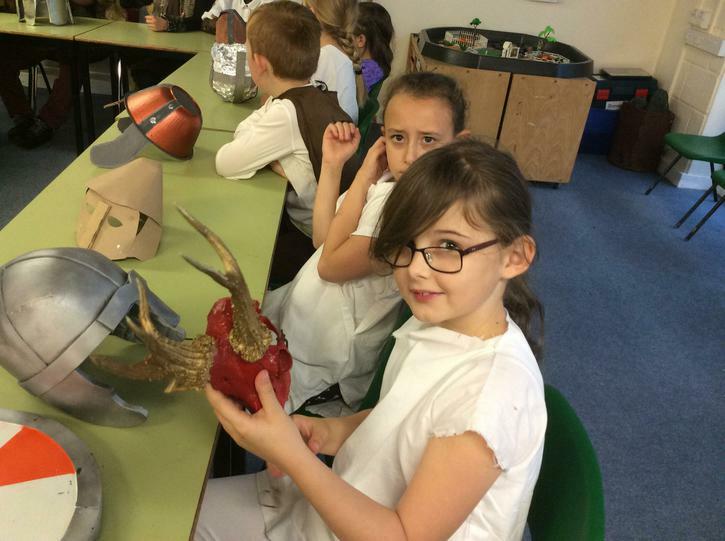 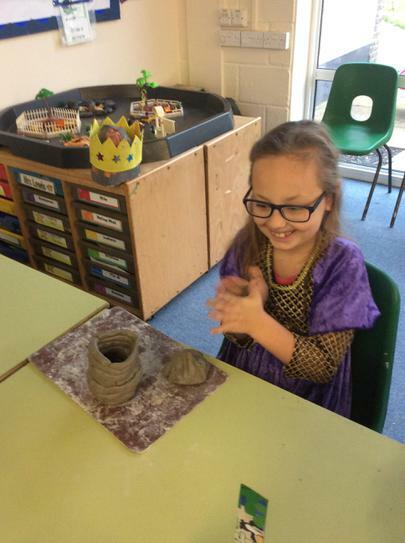 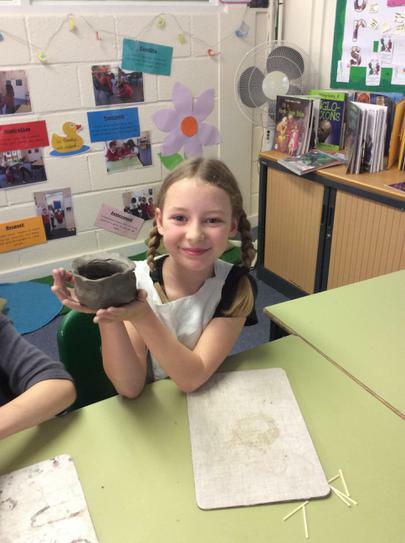 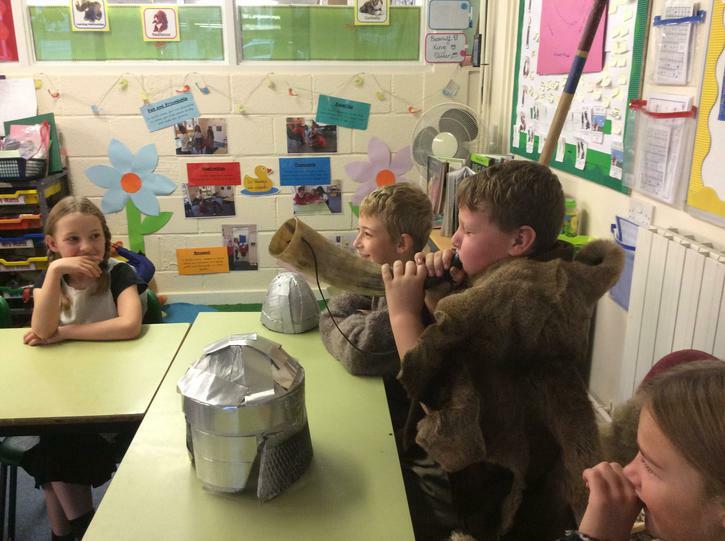 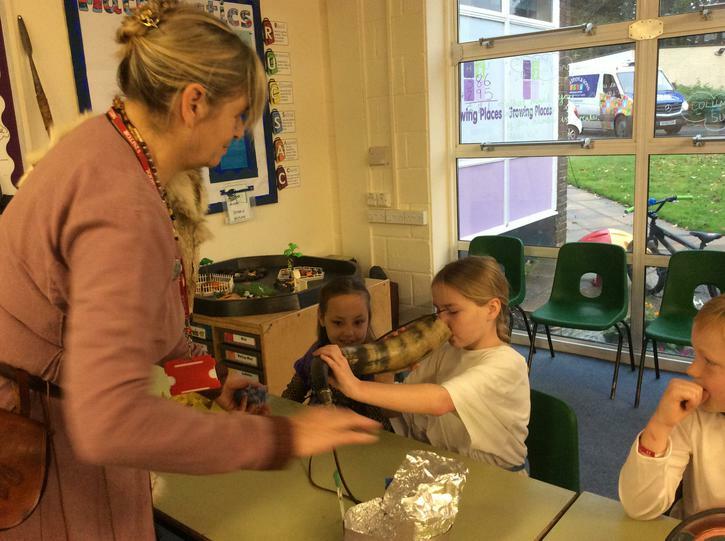 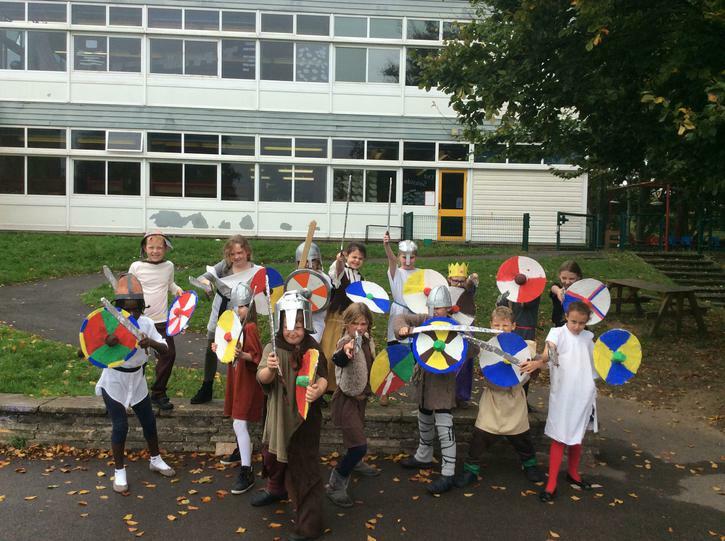 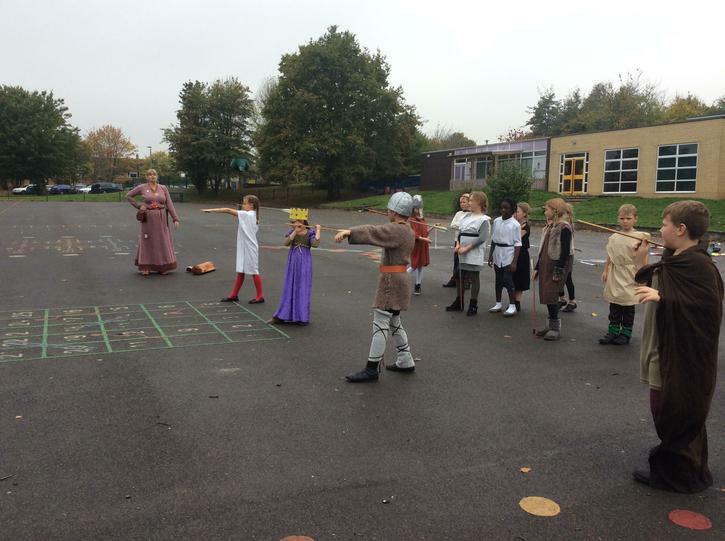 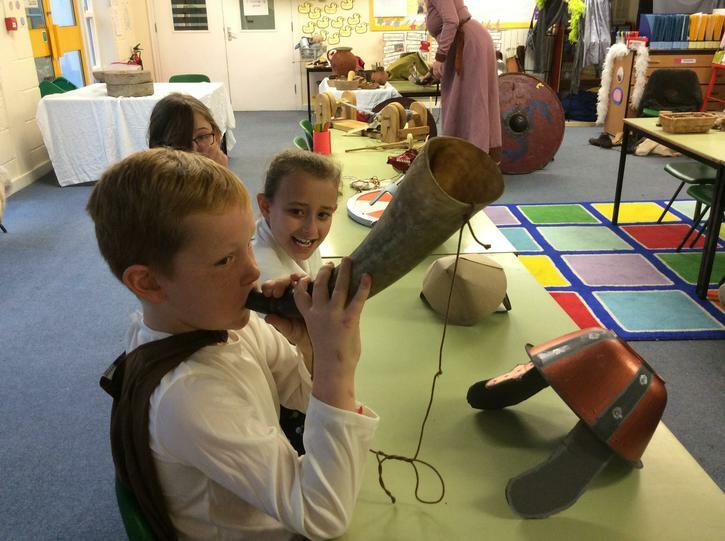 We dressed up as Anglo-Saxons and experienced what life was like for them. 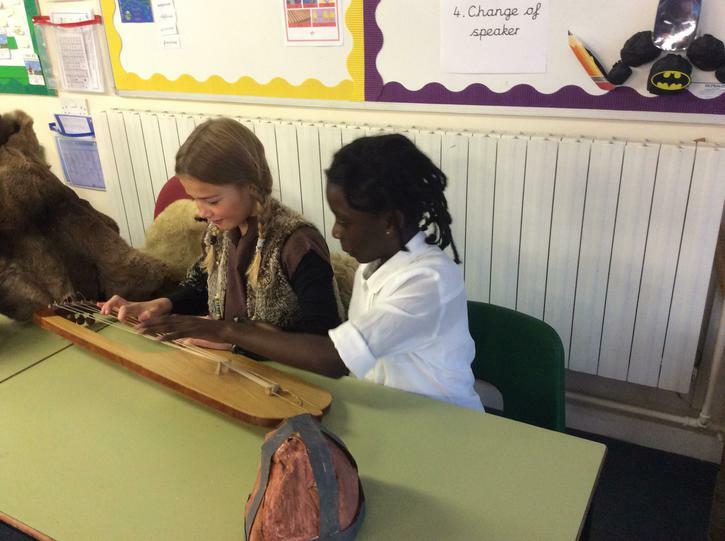 We learned how to play a lute and tie our hair like a Saxon lady. 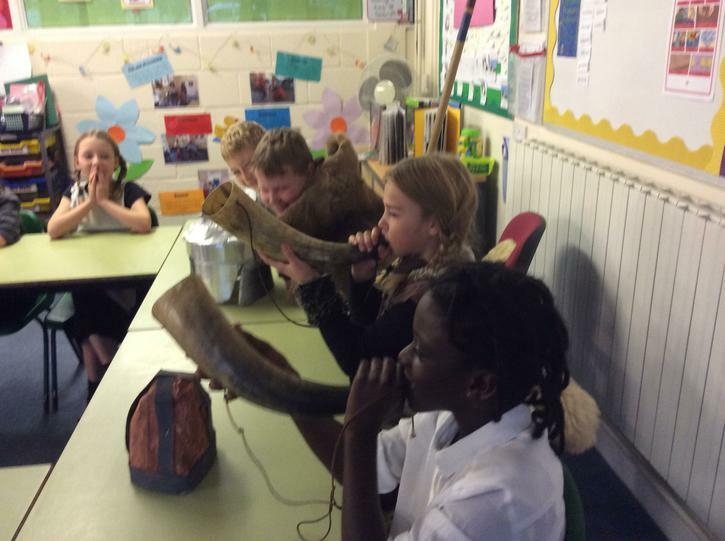 We drank from a drinking horn and tried traditional Saxon bread, which was delicious! 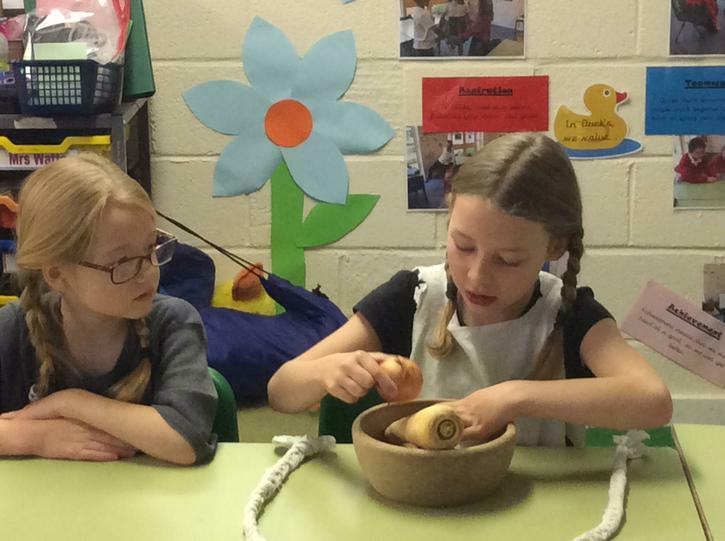 We ground corn to make flour - it took 1-2 hours to grind enough flour to make a loaf of bread. 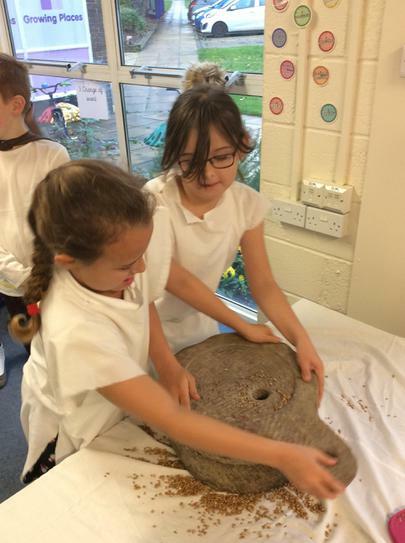 The grind stone was really heavy and it took at least 2 of us to move it! 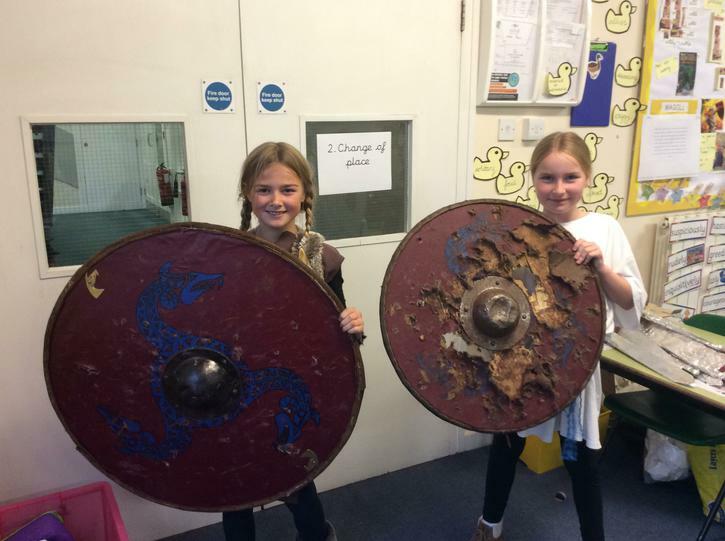 When we tried on the Saxon armour and carried the weapons, we realised how heavy they were! 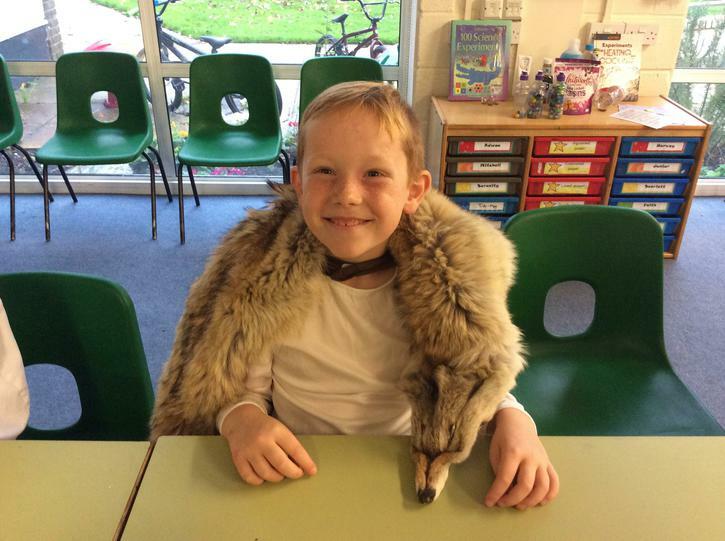 William was our 'Thane' for the day - doesn't he look authentic! 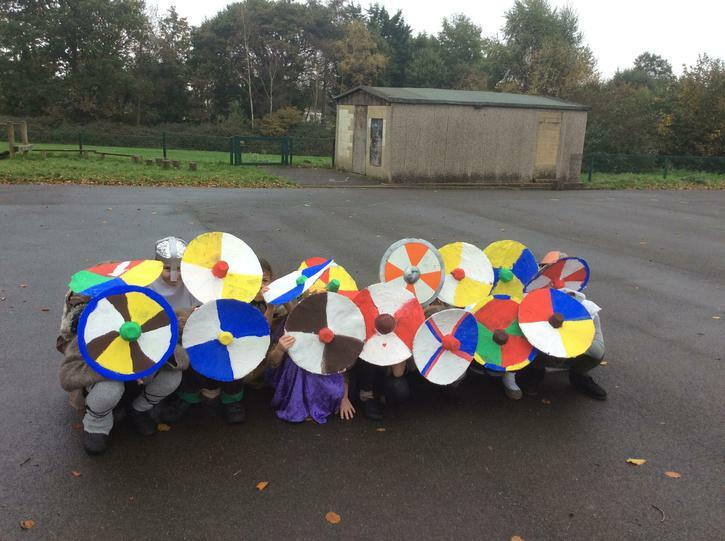 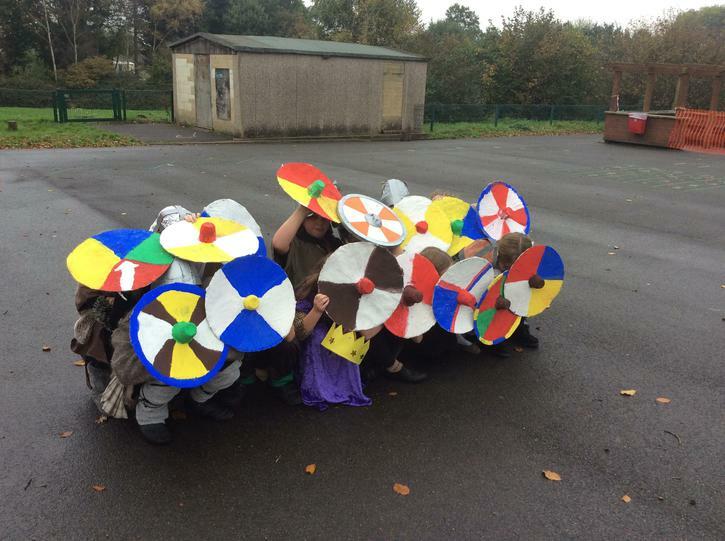 In the afternoon, we learned about Saxon combat techniques and worked together to make a Saxon shield wall to defeat our enemies. 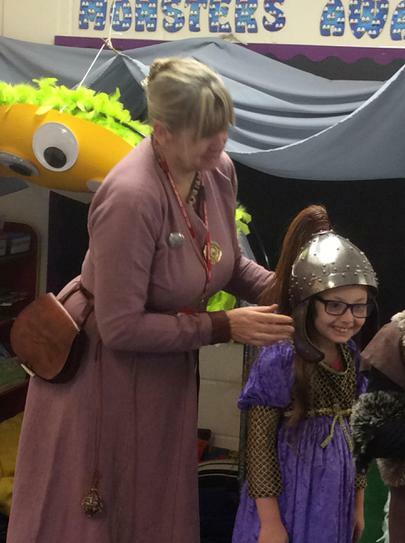 We all had a brilliant day - thank-you so much to our parents who helped us to put brilliant costumes together!